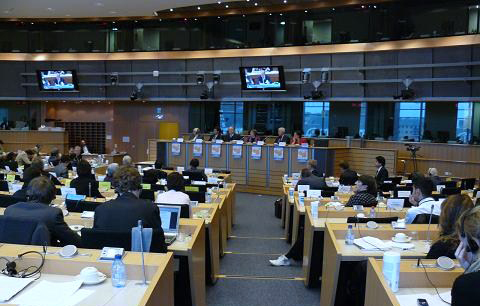 On December 1, 2009, on the heels of the EU-Sino Human Rights Dialogue and the EU-Sino Summit, the European Parliament held a public hearing focusing on current human rights conditions in China with participants ranging from MEPs to experts from various human rights organisations. Attendees condemned human rights abuses under the Chinese Communist Party (CCP) regime, especially the treatment of Falun Gong practitioners, and discussed diplomatic measures to be adopted in the future. Canadian former Member of Parliament David Kilgour was invited to speak about the persecution Falun Gong practitioners have suffered. He pointed out that Falun Gong was subjected to the most severe persecution. In his most recent book, co-written with David Matas, Bloody Harvest, he concludes with a large amount of evidence the appalling crime that innocent Falun Gong practitioners are being killed for their organs. No one should turn a blind eye to this. When interviewed, Mr. Kilgour said, "This is one of the most atrocious persecutions in the 21st century, which amounts to crimes against humanity. It has lasted for more than a decade and is still continuing. This was the reason why David Matas and I have visited nearly sixty countries. All of these (crimes) must be stopped. We will continue with our efforts until it ends." He added that the EU could contribute. In Bloody Harvest, he made 25 to 30 recommendations, including one that applied to the EU, i.e. "Foreign states should issue travel advisories warning its population that organ transplants in China are sourced almost entirely from unconsenting prisoners, whether sentenced to death or Falun Gong practitioners." 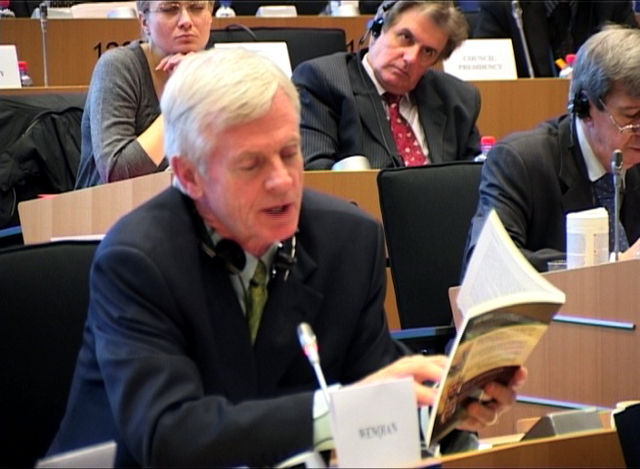 The Vice President of the European Parliament, Edward McMillan-Scott said at the hearing that all the contacts during his 2006 China visit had been arrested and tortured by the CCP, including Falun Gong practitioner Cao Dong. The EU should continue to press China. 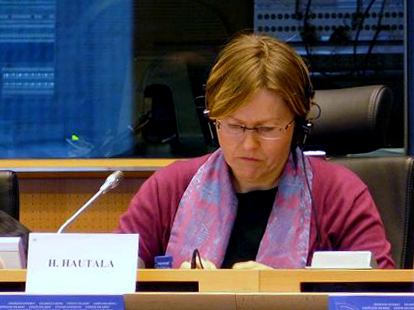 The Present of the Human Rights Sub-committee, Heidi Hautula, hosted the hearing and commented that it was hard to believe that such a peaceful movement (Falun Gong) suffered such brutal persecution. She said during the interview, "I cannot comprehend or accept how such a peaceful movement became the enemy of the state. I know many Falun Gong practitioners personally, who are no different from my EU friends that do yoga after work. Our aim is clear. We demand China to open up, to guarantee its citizens' rights, and to stop arresting those who speak out the truth." A poet, philosopher, and MEP from Lithuania, Mr. Leonidas Donskis pointed out that the way the CCP treated its people was very similar to the former Soviet Union. The main reason why the international community tolerated China's human rights conditions was that many countries wanted to protect their own interests. At the hearing, some MEP and human rights experts demanded that the human rights dialogues be open instead of silent diplomacy and closed-door discussions. The head of Human Rights Watch Asia, Mr. Brad Adams, said, "The EU and its member countries along with other countries in the world must openly and clearly discuss China's human rights issues, rather than beating around the bush - closed-door negotiations with the CCP do not work. We all know that public pressure and solemn declarations are effective. We need to remind the world, what is happening to the 1.3 billion Chinese people (human rights abuses) are more important than those trade deals and purchases of cheap Chinese goods." The entire hearing was broadcast live on the EU website. 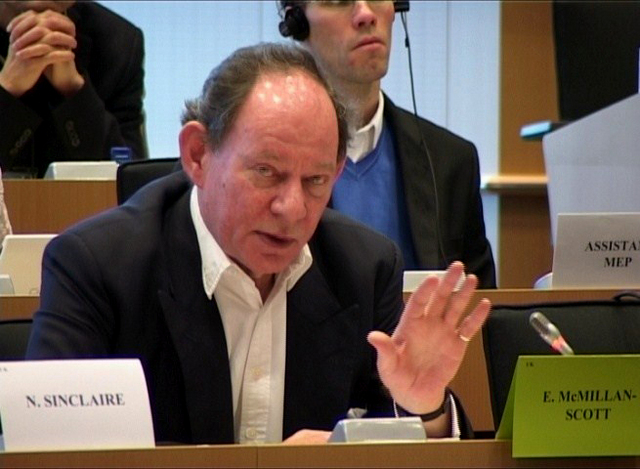 An EU human rights official said after the meeting that he wished that Chinese audience could see the live broadcast.